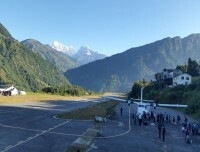 Pikey Trek Ending / Starting point Phaplu Airport. 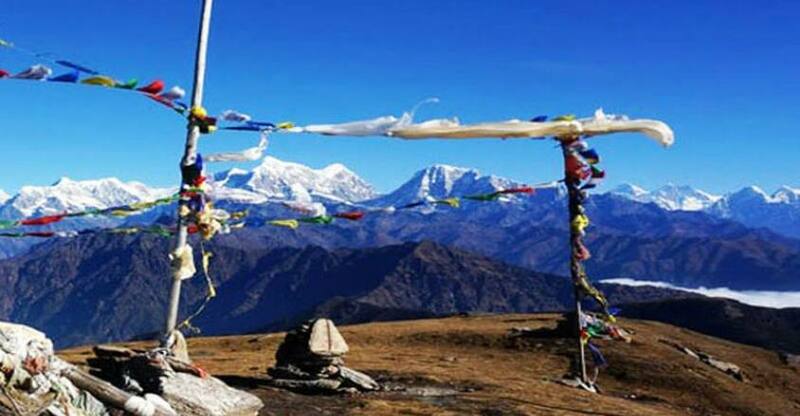 Pikey Peak Trekking Located in the Lower Everest region, this Pikey Peak Trek is one of the famous trekking trails in Lower Solu. 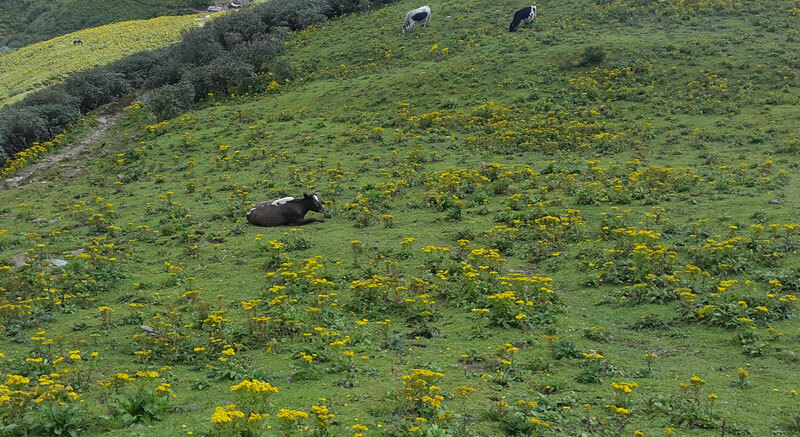 This is easy to moderate as the difficulty grade of trek where you will be gaining up the altitude of about (4065m.) 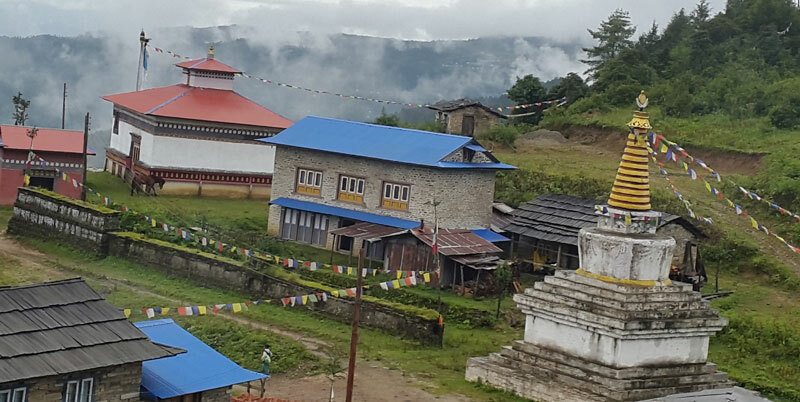 trek past forests of rhododendron, coniferous, pines and multiethnic peoples Sherpa, Tamang, Rai, Chhetri, Brahmin and others reside on these parts of Khumbu region. Sir Edmund Hillary once said that Pike Peak top is the most astounding place to gaze at Mt. Everest. Really Pikey Peak Trek offers the panoramic view of mountains as far as Mt. 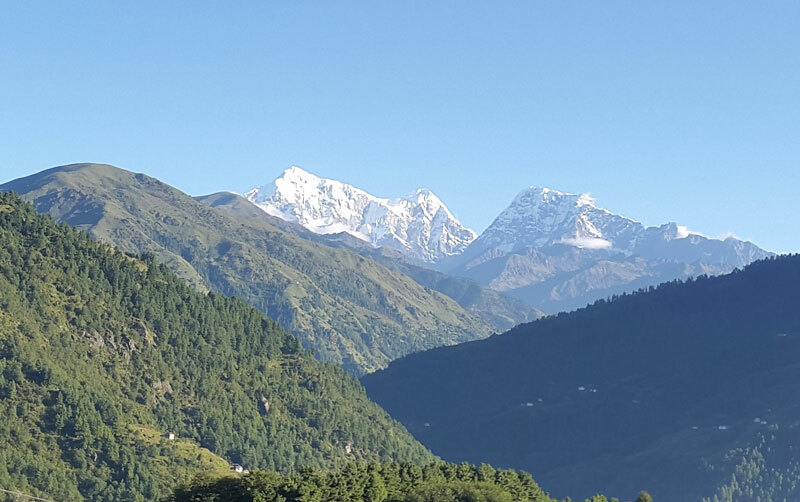 Dhaulagiri and Kanchenjunga. The area is full of green lush forests and grassy meadow hills and is photographer’s paradise. Situated in lower Everest region at the periphery of Mount Everest Himalayan range this viewpoint is also famous for sunrise and sunsets. 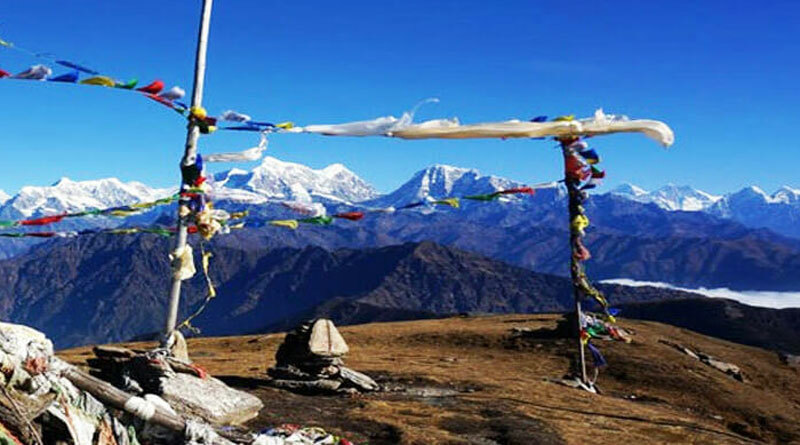 If you want to explore the Everest region with a less number of trekkers in route, then this Pikey Peak Trek will be the best option. there are a number of different trekking routes and local trails in the lower Everest region which involve reaching Pikey Peak Trek. The most common durations (starting and ending in Kathmandu) from 6 to 8 days. 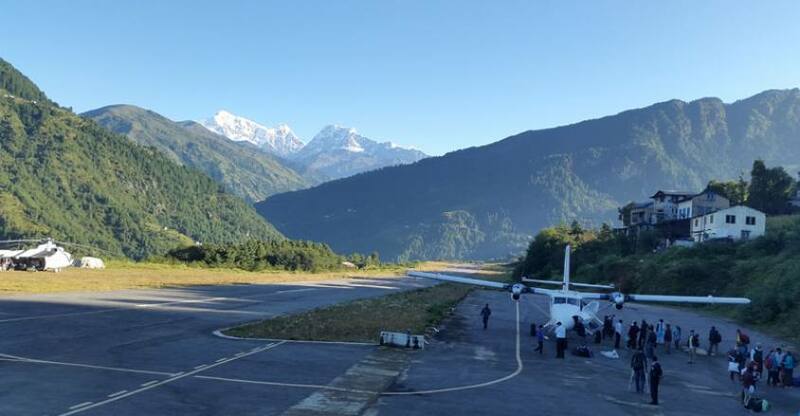 if your short on time or want to opt for a shorter itinerary, it's best to fly both in and out from Phaplu, Based on what you are looking for, we can put together a custom trip based on how many days you have time. 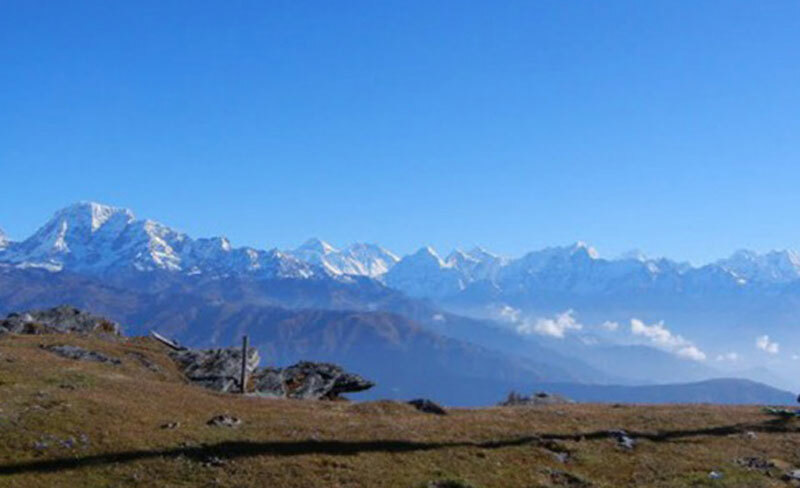 Halesi Treks Pvt.Ltd and few trekking agencies in Nepal which expertly sells this P.K Peak Trekking 7 Days package. 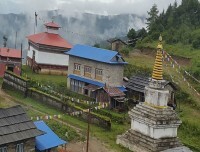 the divine hilltop which acquired its name “Pikey” from Sherpa Clan scriptures. Witness the overwhelming masses of snowcapped mountains and rejoice the swashbuckling lower Solu. 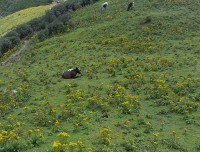 Day 02: Drive from Kathmandu to Dhap Bazzar 2850m/ 7 hrs. 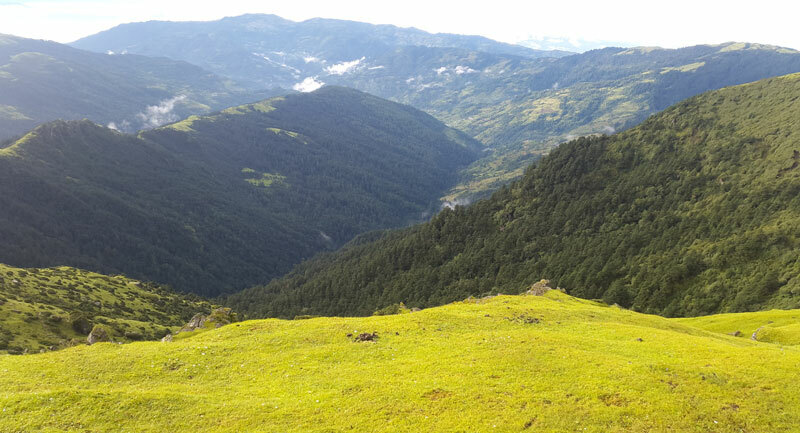 Day 03: Trek from Dhap Bazaar to Jhapre (2815m) 4/5 hrs. 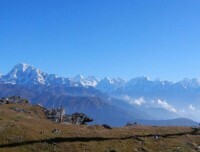 Day 04: Trek from Jhapre to Pikey Base Camp (3585m) 6/7 hrs. 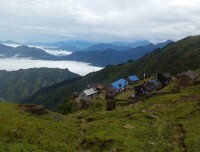 Day 05: Trek from Pikey Base Camp to Loding via Sunrise at Pikey Peak (4065) 6/7 hrs. 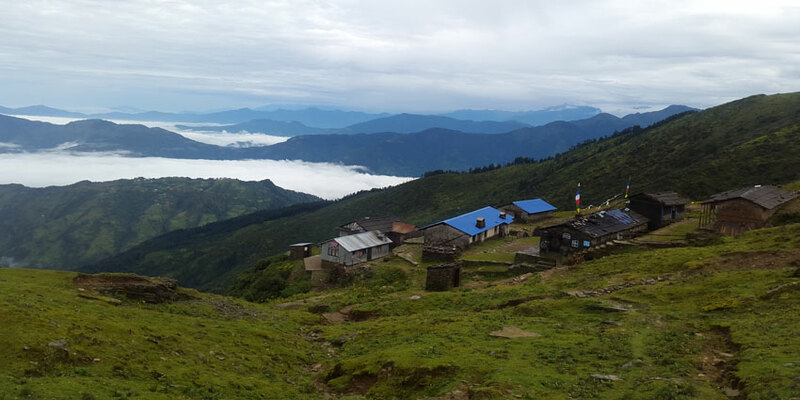 Day 06: Trek from Loding to Phaplu (2470m) 5/6 hrs. 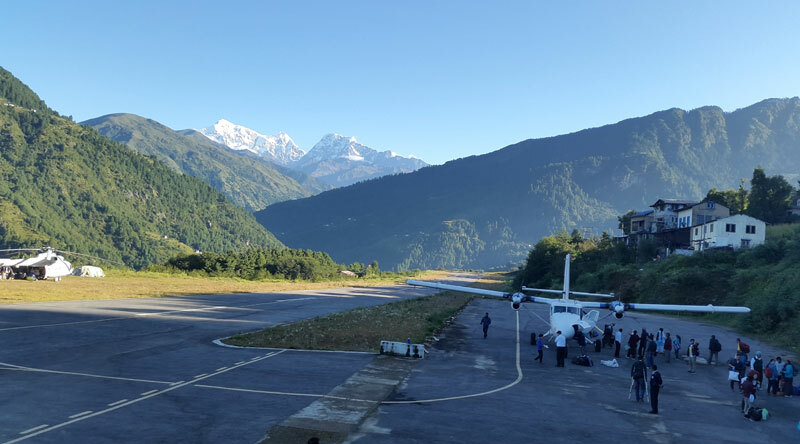 Day 07: Fly from Phaplu to Kathmandu flight time about 30 minutes. Hot shower, hot water, and battery charge during trekking. Rescue operation charge in case of an emergency. The journey starts early morning leaving Kathmandu valley to Dhap Bazaar via Okhaldungha driving along the Sun Koshi, later joining Tama Koshi and become roaring big Koshi River until reaching Ghurmi where we take lunch in the small local restaurant. Then smooth drives goes uphill continuously towards north through the subtropical forests of Pine to dense forests of Rhododendron passing several countryside villages, beautiful landscapes, and valleys until reaching Dhap Bazaar (2850m) explore the fascinated village with several local shops give you the different experience of knowing local people and culture, their way of life. In the clear sky, the awesome mountain view of Numbur feels you that you are already closed to the Himalaya. overnight at teahouse. The morning after breakfast, the walking trail stays on the dusty road head until reaching Sigane for 2 and half hour. Then trail from Sigane follows again a road under construction for the first couple of hours. The first village is called Jhapre (2815m). 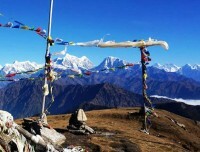 It’s perched above a deep valley with nice views of Everest and the Number Himal. There’s a pretty little Gompa and Stupa here. This is also another best viewpoint for all high Himalayan range to the north. Here you find a few lodges with its comfort and plenty of food items. overnight at teahouse. After Jhapre, the trail climbs up to a grassy ridge at Bhulbhule. There’s a single lodge with no name and nice views of the Everest range from here. Soon after Bhulbhule, the trail splits and you will turn right to Pikey Peak. You will pass some old yak houses and a long mani stone wall. 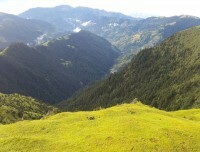 The trail then contours the hillside below Taklung Danda and goes through a beautiful forested trail. There are many rhododendrons here along with a level path (which you can see in bloom if trekking in the spring). As you leave the forest, it’s not far from Pikey Peak base camp, about 2 hours away. From here, it's a short climb to the summit at 4065m. Unless you have an unusually clear evening, it’s better to climb to the summit in the morning for sunrise. overnight at teahouse. early in the morning, you will follow a gradual trail to the summit Pikey Peak 4065m. covered with prayer ﬂags. The views are breathtaking! If the weather is clear, you will be rewarded with panoramic views from Annapurna to Kanchenjunga. 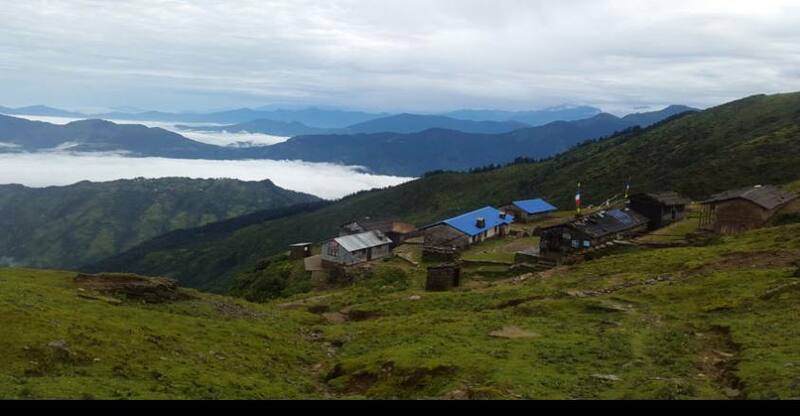 From the top of Pikey Peak, you'll follow a ridgeline which starts flat and then steepens as you enter the forest to Jase Bhanjyang, where breakfast will be waiting. After breakfast, you will continue your walk down to Loding, which passes through some steep sections in the forest. overnight at teahouse. we will start our trek follow the trail that is an easy downhill and uphill after the crossing the Solu Khola. This is the last day of our trek, therefore we will take it easy and try to enjoy every bit of our trek. At Phaplu we will celebrate the last day party with teams. overnight at hotel. Phaplu to Kathmandu which takes about 30 minutes and transfers to hotel. Overnight at Hotel. The below-given cost is per person and the below-given Pikey Peak Trek fixed departure dates are available for you. If the given date is not favorable then please contact us and we will happily customize your trip on dates more appropriate for you.